Now that I’m in the process of getting my Danish driver’s license, I’m in the market for a car. I finally found out that I can import my Audi TT, but even if I bring it in as “removal goods” exempt from VAT and customs fees, the registration tax will be about $25,000. Ouch! $25,000 for the “privilege” of driving a car that I already bought and paid for?? Sorry, greedy little Denmark, go fish! You’ll have to find someone else to extort. So, I started considering the Volkswagen Up!, not because I like it, but because it’s the best of the “cheap” new cars. But $18,000 for a 3-cylinder tin can is just not happening! Cue the sound of angels singing, because I’ve found the only car in all of Denmark that will will bring me inner peace on the TT situation without bankrupting me. She’s had one owner, and has only been driven 72,362 km. The guy selling her owns a garage, so I already have a place where she can be serviced, which was one of my big worries when I started considering a ’94. But the inside needs help, and can I really, in good conscience drive this car year round? She deserves a winter garage. 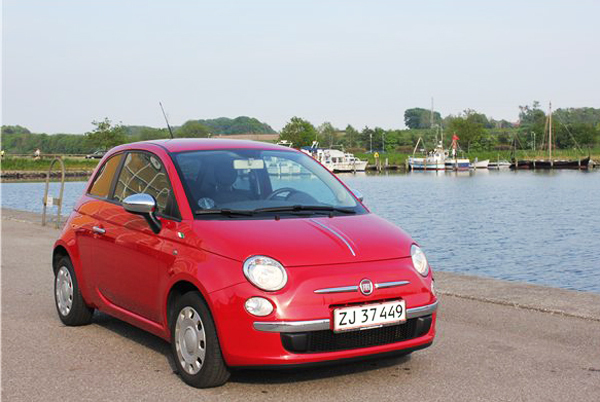 The only other contender is a 2008 Fiat 500, and it does not excite me in the least. It looks like a stylized Neon to me. Blech! 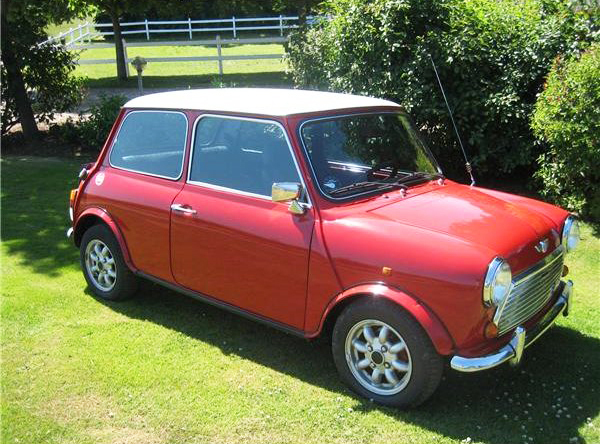 But it’s of course much more reliable than the Mini, and I could skip the “fun” of having to figure out how to replace the carpets, dashboard, etc. So, do I make the decision with my heart or my head? I know what I want to do, and it’s 14 years away from what I should do! P.S. These are not my photos, I snagged them from the car listings on dba.dk. Go put that smile in your liver!!! PLEASE, PLEASE, PLEASE say that you bought the mini!